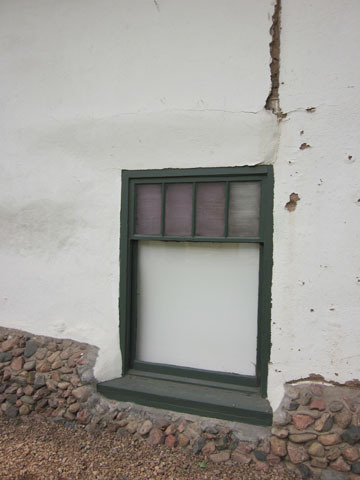 You don’t have to be a winner of HGTV’s Design Star to see that the windows in the Palace of the Governors could use some help. Hey – when you’re a National Historic Landmark with a 400-year-old history, some of your edges can tend to the ragged side of things. Wood gets old and porous. Water seeps past cracked plaster into adobe bricks. Foundations shift and settle. But budgets are tight all over, and the cost of repairing a historic building can soar beyond a new screen door for your average bungalow. What was the New Mexico History Museum/Palace of the Governors to do? Well, we turned to some of our most trusty and energetic supporters, the members of Los Compadres. Building on their shared love for the Palace of the Governors, Los Compadres’ members have for years given their volunteer all for the museum. During the warmer months, its members lead the Downtown Walking Tours that give tourists and locals alike a learned look at Santa Fe’s history. At the History Museum’s grand opening in May 2009, they stood in the heat for hours, scooping ice cream that they provided to a hot horde of first-time visitors. During last year’s Christmas at the Palace and Las Posadas, those bizcochitos you might have nibbled were provided by none other than Los Compadres. Most important, they dove into fund-raising efforts to create the History Museum, beating the odds and ensuring we opened with a stunning array of exhibitions. The majority of that work is done so quietly that you might be unaware of it. But their latest project – “Windows on History” – will soon appear before your very eyes. Last year, Los Compadres adopted the Palace’s aging windows as a fund-raising cause, setting a goal of $40,000. They sold $5 raffle tickets, arranged a special showing of the Santa Fe Fiesta Melodrama, held private dinners with history experts as speakers, and offered 25 limited-edition prints of Jack McCarthy’s linoleum-cut version of a Palace window (left) as a premium. 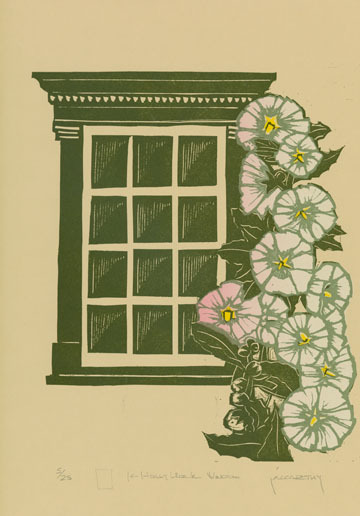 (The Palace Press stepped up by producing the prints, using handmade paper that included, fittingly, adobe mud.) The hustle caught the eye of the Santa Fe New Mexican, which wrote a lovely story that brought in a new wave of donations. Los Compadres’ latest goal is to broaden its statewide reach, in part by creating a new category of supporters, the “Ambassadors.” Members want to reach beyond Santa Fe’s borders to carry the New Mexico History Museum/Palace of the Governors’ word to communities throughout the state and to welcome visitors from other historical societies to both the old and the new of our museum complex. 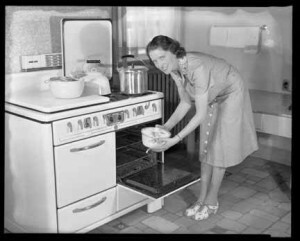 Got an itch to devote some time to preserving New Mexico’s past? Interested in learning more? Contact the Museum of New Mexico Foundation at 982-6366. “Party with El Palacio” on Friday, Aug. 5, features a free triple-header of an evening with award-winning author Pam Houston, Albuquerque bluegrass band Breaking Blue and spoken-word poet Carlos Contreras. All the events are free. Come for one or for all three. Each performer has a tie to El Palacio, the magazine of the Museums of New Mexico. Houston wrote about why she chose the Western life in the summer issue of El Palacio, “My Ranch, Myself: Making a Home on the Land.” (For an earlier El Palacio interview with Houston, go here.) Breaking Blue wrote a song based on an article in the winter 2008 issue of El Palacio, “Dearest Annie: Letters from Fort Selden.” And an interview with Contreras along with “Communion in the Desert” ran in the spring issue; a video of him performing it in the Palace Courtyard is on the magazine’s web site. Houston’s new book, Contents May Have Shifted, will be published by W.W. Norton in early 2012. Among her earlier books are Cowboys Are My Weakness, Waltzing the Cat, A Little More about Me, and Sight Hound. Her stories have been selected for volumes of Best American Short Stories, the O. Henry Awards, the Pushcart Prize, and Best American Short Stories of the Century. 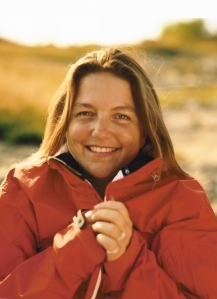 She has won the Western States Book Award, the WILLA award for contemporary fiction, the Evil Companions Literary Award, and multiple teaching awards. Director of creative writing at the University of California, Davis, Houston also teaches in The Pacific University low residency MFA program, and at writers’ conferences around the country and the world, including the Taos Summer Writers’ Conference. She lives on a ranch at 9,000 feet in Colorado near the headwaters of the Rio Grande. You can learn more about her on her web site. Breaking Blue’s members come from different walks of music – from jazz to heavy metal to classical – but are united in a passion to perform what they call “shabby-chic Americana music.” Along the way, they’ve revived some traditional American “Old Time” songs and lyrics that have been forgotten or re-written over the years. 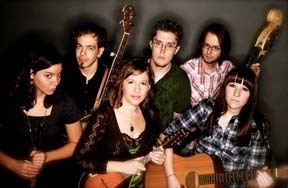 In 2009, the group won the Santa Fe Bluegrass Festival Song writing contest. Other awards include the 2011 New Mexico Music Award for Best American Song (“Old Roads”); the 2010 Santa Fe Bluegrass Festival Old Time Band Competition; and the 2010 Albuquerque Folk Festival Band Contest. The group’s web site has more information. Contreras competed on the team that brought the National Poetry Slam Championship home to his native Albuquerque. His awards include the New Mexico Hispanic Entertainers Award for Poet of the Years in 2007. With the Voces program at the National Hispanic Cultural Center, he leads workshops in poetry composition and performance. Contreras has published poems in several anthologies, and a book, A Man in Pieces: Poems for My Father. For “Communion in the Desert,” El Palacio commissioned him to tour the New Mexico History Museum/Palace of the Governors and compose a poem about the trip. Read more about him on this web site. Founded in 1913 as the scholarly journal of the state’s then-only museum – the Palace of the Governors – El Palacio has covered the exhibits, public programs and scholarship of the Museum of New Mexico’s four Santa Fe museums (New Mexico History Museum/Palace of the Governors, Museum of International Folk Art, Museum of Indian Arts and Culture/Laboratory of Anthropology, and New Mexico Museum of Art), as well as the Office of Archaeological Studies and the six State Monuments (Coronado, Jemez, Fort Selden, Lincoln, Fort Sumner, and El Camino Real International Heritage Center). For subscription information, go here. Museum-goers who wouldn’t mind a little nosh with their exhibits have reason to celebrate the re-opening of the History Museum’s Cowden Café. Someone’s In the Kitchen, a longtime Santa Fe catering company, has begun serving light breakfasts and lunches in the second-floor space with a fabulous outdoor patio overlooking downtown Santa Fe. Richard Derwostyp (“Just call me Richard,” he says, for obvious reasons) has owned and operated Someone’s in the Kitchen for 20 years. 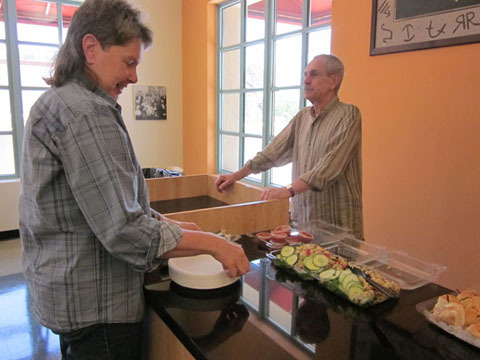 “It’s going to be simple salads, sandwiches,” he said of the Cowden Café fare. “Some of them won’t be that simple, and some will have a Southwestern edge. Typical lunch offerings might include gazpacho, smoked-turkey-and-pepper-jack cheese sandwiches, and salads like a Southwest Caesar; spinach with apples, Maytag blue cheese and pecans; and a chef salad. Service will be casual, with orders taken at the counter. With a minimum of two days’ advance notice, the café can prepare sack lunches for groups of visitors. The number to call for group orders is 505-424-8209. The café is open from 10 am to 4:30 pm Tuesday through Sunday, with lunches from 11:30 am to 3 pm, and drinks, cookies and pastries until 4:30 pm. Lunches will cost $7-$13, and Richard will also have a variety of non-alcoholic beverages and breakfast pastries. Diners don’t need to pay museum admission, unless they’d also like to wander the exhibits. 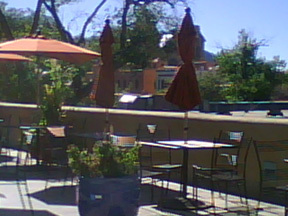 Besides good food and a great view of downtown Santa Fe from its balcony patio, the café has free wireless. Set on the museum’s second floor, the cafe closed April 1 when its previous operators, the owners of the Plaza Restaurant, decided to focus on repairing their fire-damaged restaurant. A request for proposals was issued for another operator and resulted in a contract for Someone’s In the Kitchen through October, giving Derwostyp an opportunity to see how well his current operation adjusts to the space. “Richard was the most responsive in trying to work with us and our needs,” said Dr. Frances Levine, director of the museum. The café is named for New Mexico’s Cowden family who, from 1883 to 1915, ran the JAL Ranch (for which the southeastern town of Jal is named). The JAL was the open-range home to 40,000 head of cattle and a part of New Mexico history that included the likes of Oliver Loving and Charles Goodnight, skirmishes with Comanches, and tales of gutting out the pioneer life in dugouts and covered wagons. At its peak, the JAL occupied much of what is now Lea County, east and south into Texas. Susie Miles, wife of John E. Miles, in the kitchen at the Governor’s Mansion. Miles served as New Mexico governor from 1939 to 1943. Photo by T. Harmon Parkhurst. Courtesy Photo Archives at the Palace of the Governors, No. 54376. A commentary by Dr. Frances Levine, director of the New Mexico History Museum. Four times in my New Mexico life I’ve smelled the acrid smoke, scanned the roiling skies, and waited anxiously for summer monsoons to quell fires on the Pajarito Plateau. The first time—the summer of 1977—seared my deepest memories of the damage wildfires can do and how dangerous and strategic the work of fire crews must be. That was my second summer as a full-time resident of New Mexico, and I was still getting used to the idea that we could bake in the desert sun during the day, and shiver with the chill of the mountain air at night. I had moved from Dallas, where we just sweated by day and sweltered by night. Working for the National Park Service as an archaeologist, I was learning how to be a professional cultural resources manager. The fields of archaeology, public history and historic preservation were just beginning to be a part of land-use planning. We consulted with Native American and Hispanic communities and planned projects with range conservationists and wildlife biologists. We formed teams to protect endangered species and to plan highways and development projects—all in the name of protecting New Mexico’s natural and cultural resources. Then came the call that would forever change the way I thought about our place in the natural world. On June 16, 1977, a huge fire broke out in Bandelier National Monument. Because of our team-planning sessions, we knew how to work together on paper. Now came the opportunity to assist in a real-world situation, where fire wasn’t just threatening the landscape but precious remnants of a much earlier culture. I was one of more than 40 archaeologists called in to walk in front of the bulldozers and work side-by-side with the teams digging firebreaks to steer them away from room blocks and the many other sensitive sites that dot the parkland. It was the closest I had ever come to understanding warfare as I walked next to firefighters who battled the flames with hand tools and cleared brush to create fire breaks. I can’t forget the sound and the sight of the winds driving embers through burning trees, the orange glow in the forest, the thick black smoke, and the feeling that someone or something menacing was behind us, chasing us to the point of exhaustion. At the end of each day, standing in line at fire camp to receive our bag lunches, we were too parched to talk, too dirty to tell one person from another, and too exhausted to socialize much. But we had a shared sense of purpose, a measurable accomplishment on most days, and a sense of teamwork that inspires me still. Since then, whenever I hear of a fire, I think of the fire crews. I think about them being pursued by what author Norman Maclean called the “Black Ghost” in his outstanding book Young Men and Fire (University of Chicago Press, 1992). I stand in awe of the logistical and tactical organizations that support fighting fires. The team-building I experienced during the La Mesa Fire paid off in unexpected ways and led to a new collaboration between archaeologists and forest managers, along with neighboring land owners—the National Park Service, Los Alamos National Laboratory and the Forest Service. We did protect cultural resources in 1977, but as hard as we worked, everything we saved can still disappear in a moment. Careless campers. A cigarette flicked from a car window. A downed power line. Unimaginably casual fireworks. In recent weeks, those fireworks have appeared on store shelves and in pop-up sales tents. 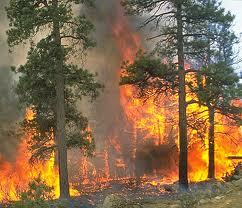 Do we really want to increase the chances of fires this season by allowing their use—on public or private land? Isn’t the unavoidable threat of lightning strikes enough of a risk? All week I’ve thought about the effort it took to fight the La Mesa Fire in Bandelier. Then came the 1996 Dome Fire, then the 2000 Cerro Grande Fire, and now Las Conchas Fire. For all that they threaten, fireworks seem a poor way to celebrate our nation’s independence. Let’s put them away. Let’s show those American heroes already toiling on too many fire lines that we honor their work.